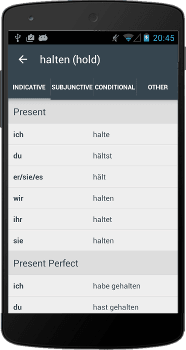 View almost 1500 German verbs in 14 tenses. Now with audio!! 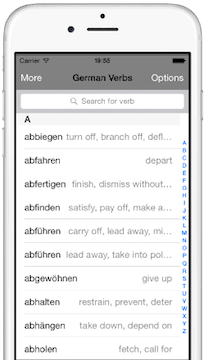 Listen to verbs spoken by a native German speaker. 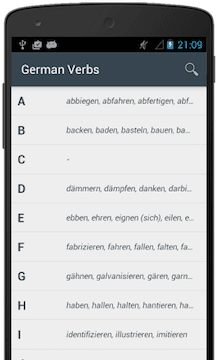 Easy to use - Has all the verb forms, allows you to search using an English verb. This is definitely my go-to app. I use it every day. Really helps me in my German learning.